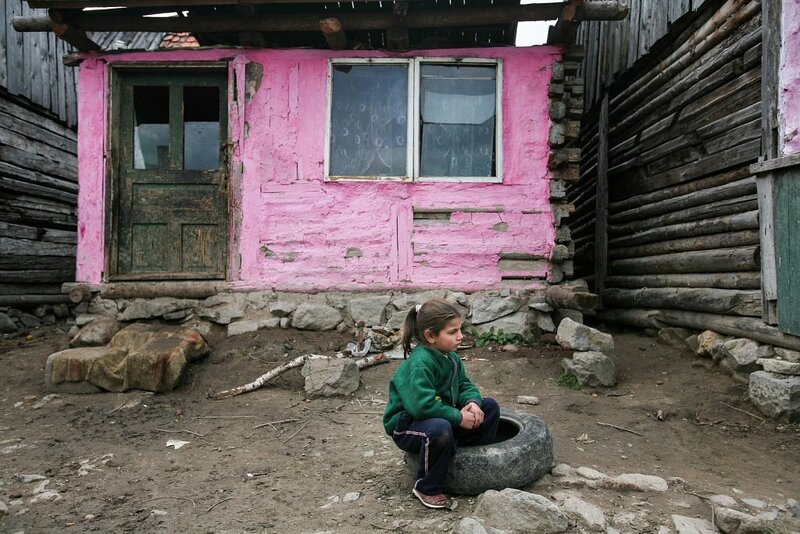 A gipsy boy is playing with a broken trolley in an improvised settlement on the outskirts of Miercurea Ciuc city, Romania, 5.10.2013. 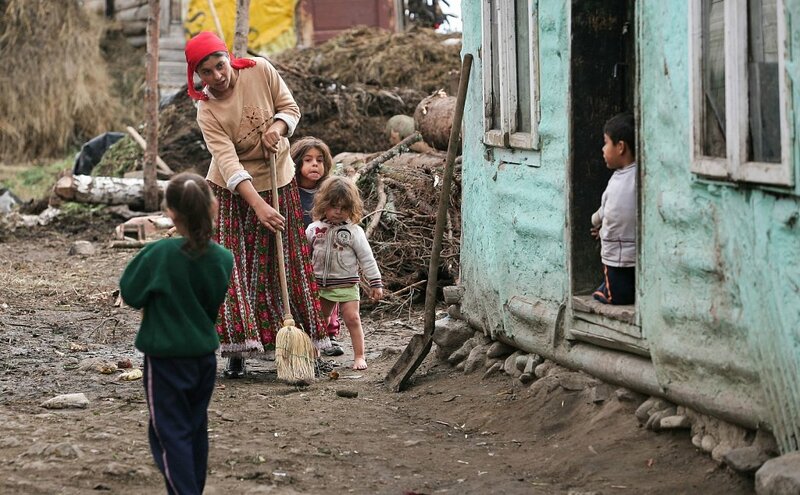 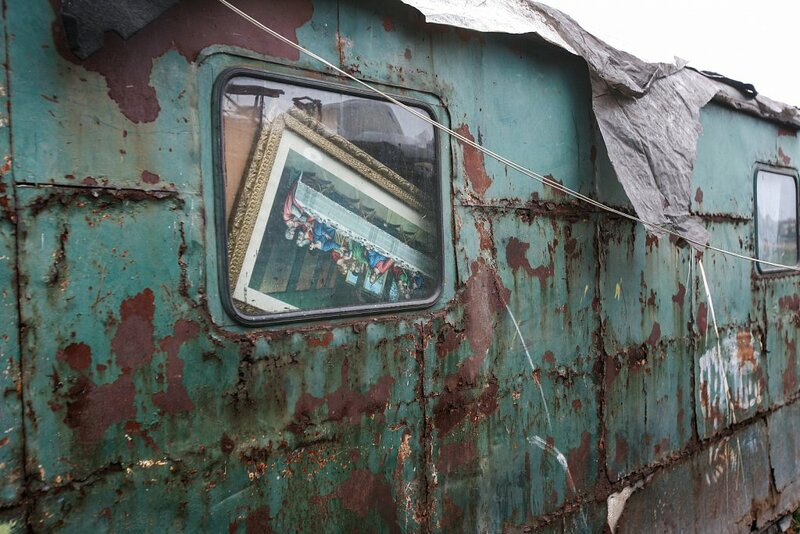 Several Roma families have been living in improvised houses, after the local authorities evicted them from houses they had abusively occupied downtown Miercurea Ciuc. 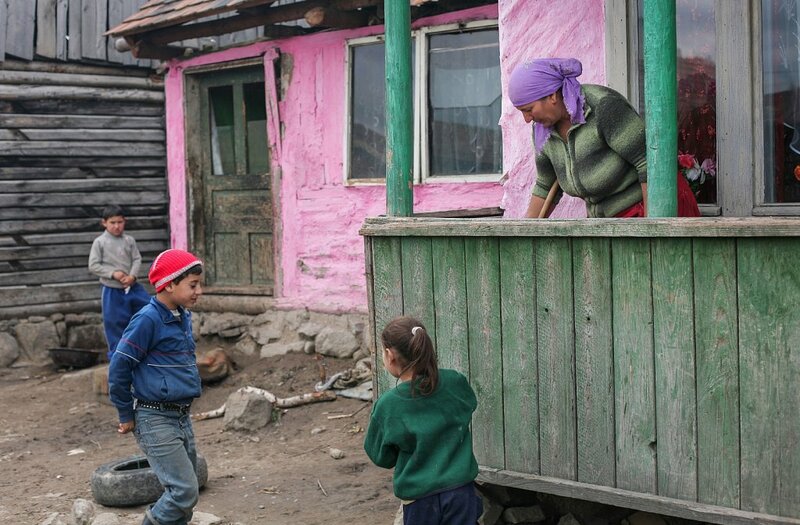 Children from the gipsy family Grancsa are posing in the yard of their family settlement in Sancraieni village, Harghita county, Romania, 5.10.2013. 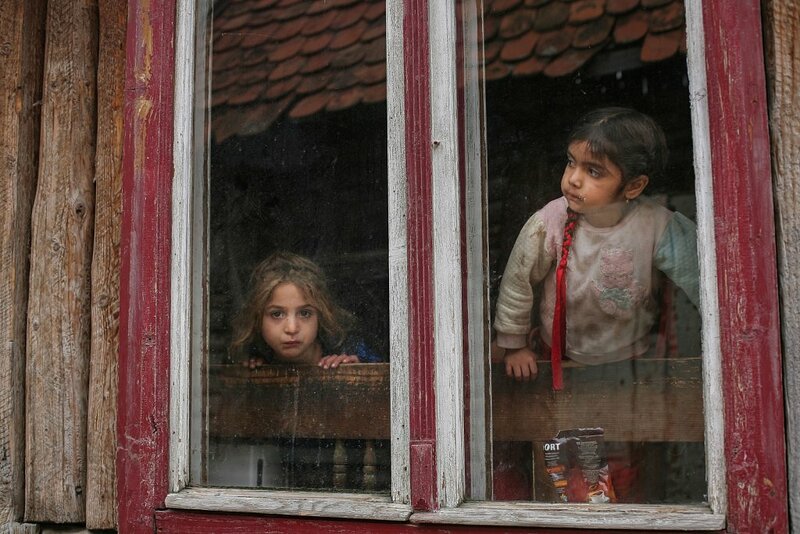 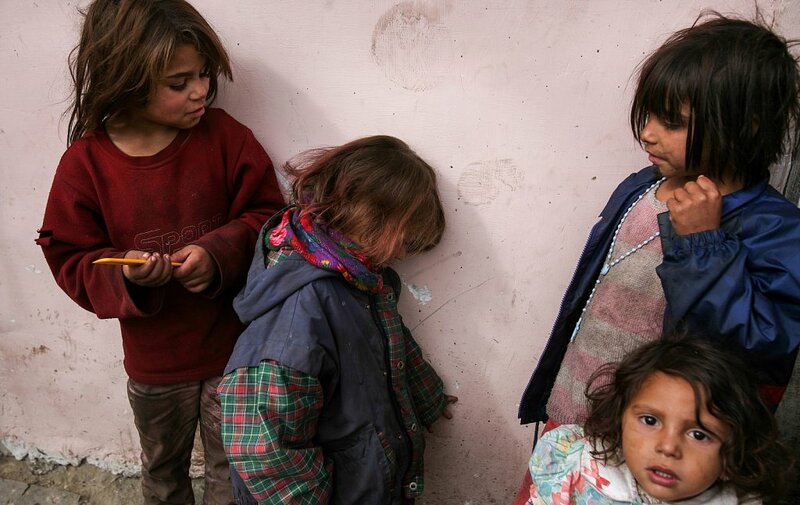 Maria Otvos (Center) is seen together with her relatives, in an improvised settlement on the outskirts of Miercurea Ciuc city, Romania, 5.10.2013. 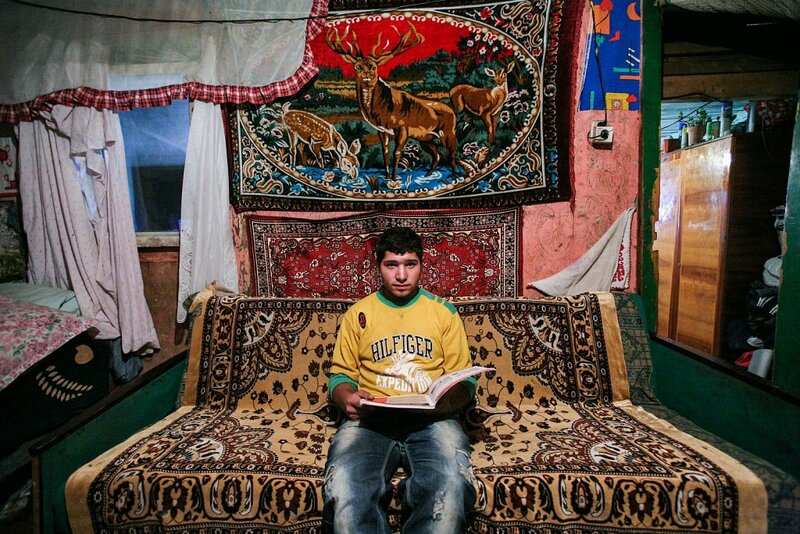 Several Roma families have been living in improvised houses, after the local authorities evicted them from houses they had abusively occupied in downtown Miercurea Ciuc. 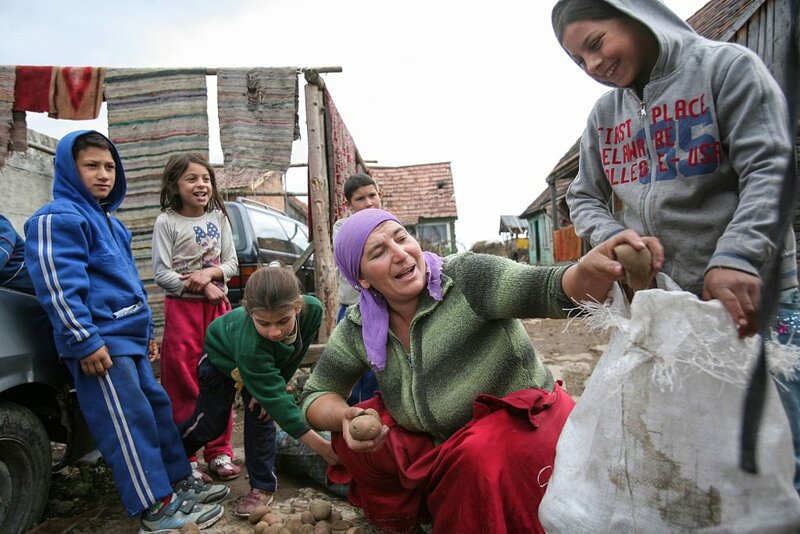 Women from the gipsy family Grancsa are working in the yard of their settlement in Sancraieni village, Harghita county, Romania, 5.10.2013.